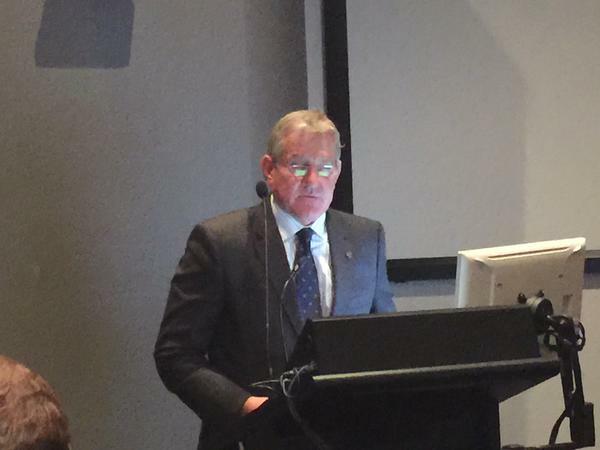 Minister for Industry and Science Ian Macfarlane today officially opened the National Geosequestration Laboratory (NGL) in Perth, where research will focus on ways to advance a technology that will become increasingly important as Australia’s resources industry continues to develop and export, while also reducing carbon emissions. The $48.4 million research facility is set to play a major role in advancing research for carbon capture and storage (CCS) technology in Australia, by creating stronger links between industry and science. NGL is a collaboration between CSIRO, Curtin University and The University of Western Australia, bringing together world-leading technology and equipment to research, assess and develop sites for the long-term storage of carbon. “The ability to store large volumes of carbon dioxide safely, at a reasonable price will have a significant impact in securing the benefits of Australia’s energy sector well into the future,” Mr Macfarlane said. “Carbon capture and storage is recognised internationally as a technology that can reduce carbon emissions. The International Energy Agency believes CCS has the potential to reduce emissions into the atmosphere by as much as 13% by 2050. Minister Macfarlane urged industry to take advantage of the world-class facility at its doorstep. “NGL is well equipped and located in one of the world’s most significant oil, gas, energy and minerals regions, making it ideal for industry to get involved in storage research,” Mr Macfarlane said. “Industry investment in clean coal technology is essential in order to translate CCS research into commercial applications.